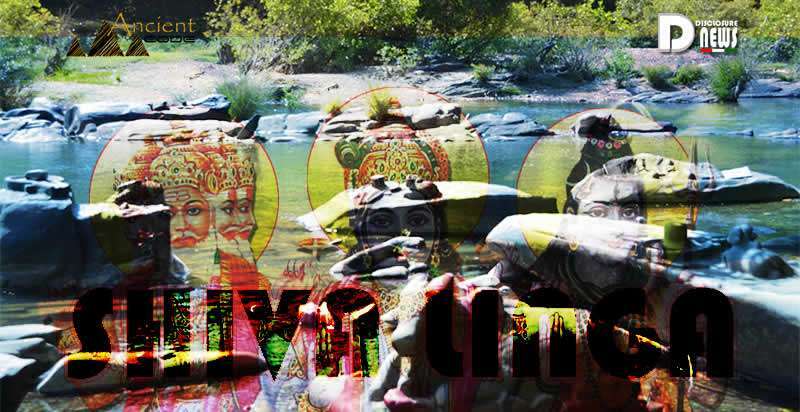 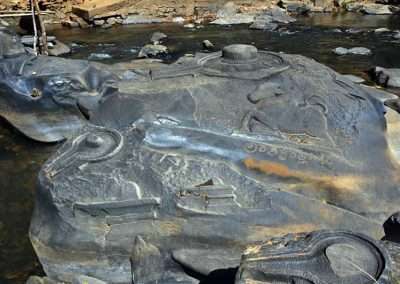 Ancient Hindu Symbols Discovered In A River In India. By Ivan. 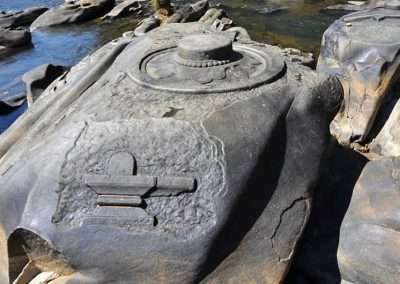 Sometimes mother nature helps reveal stunning ancient secrets. 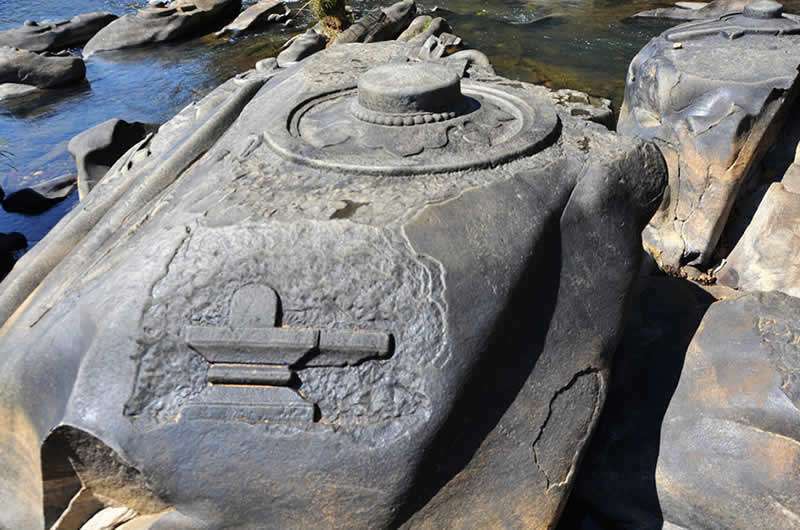 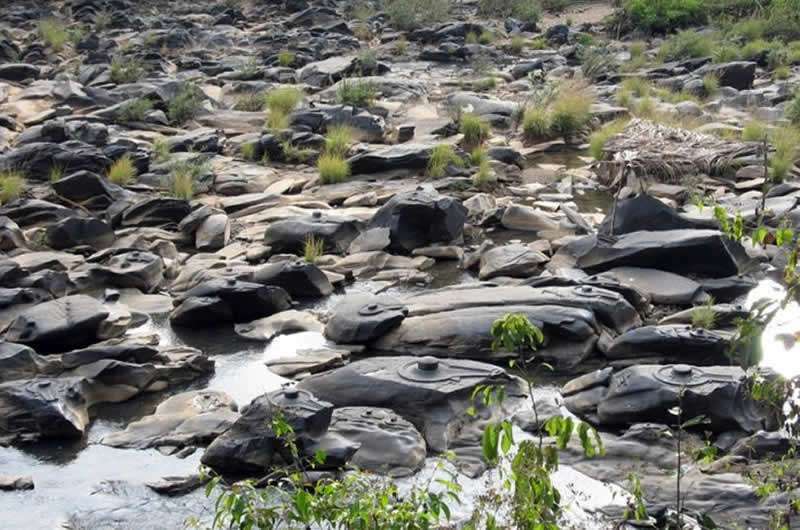 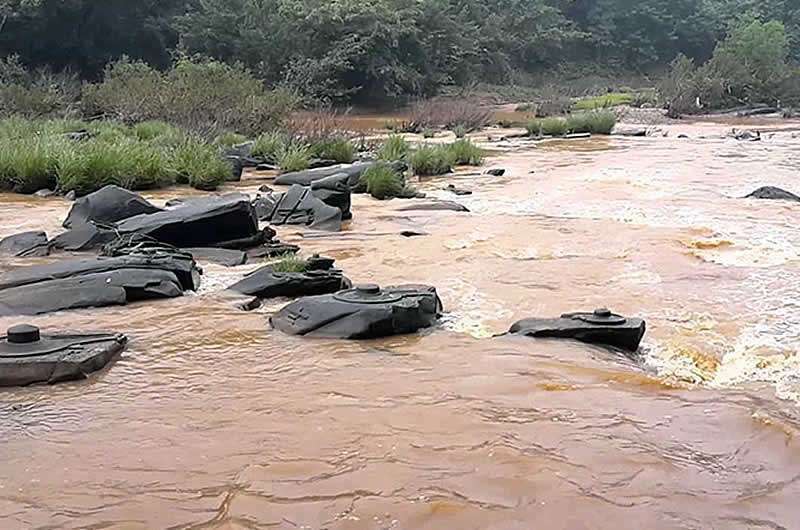 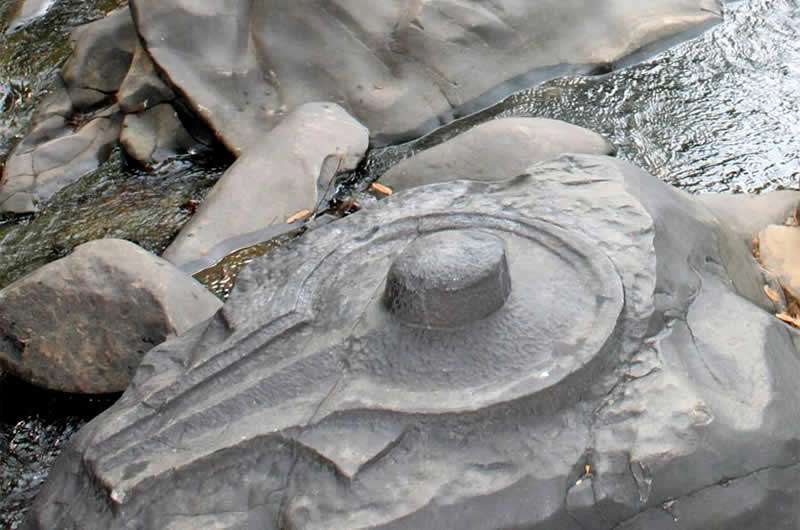 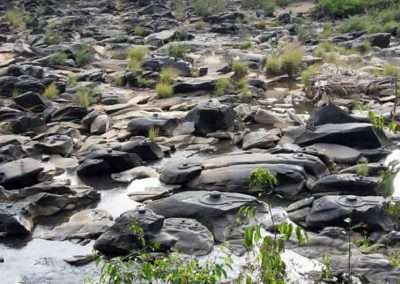 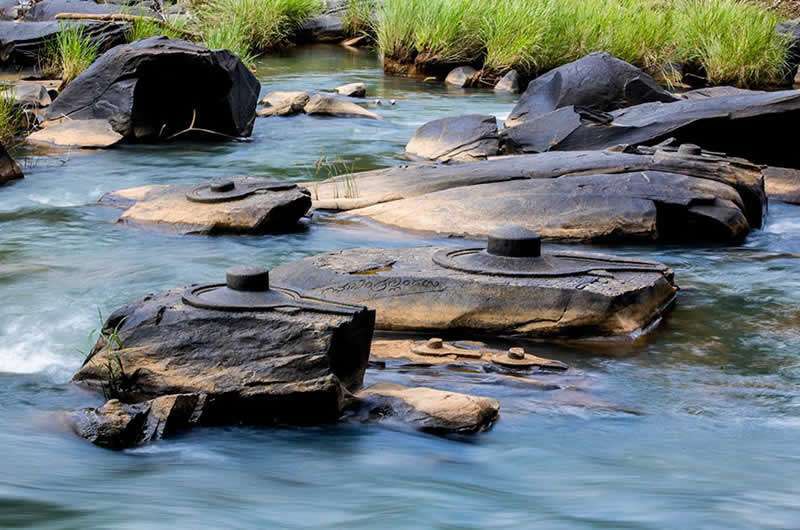 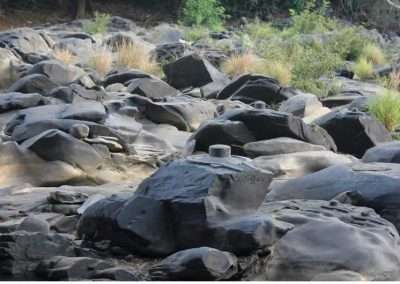 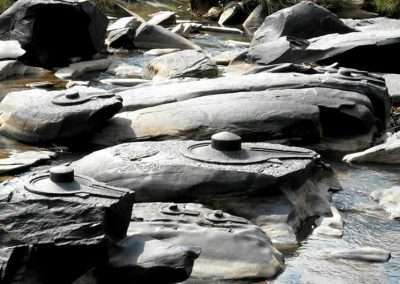 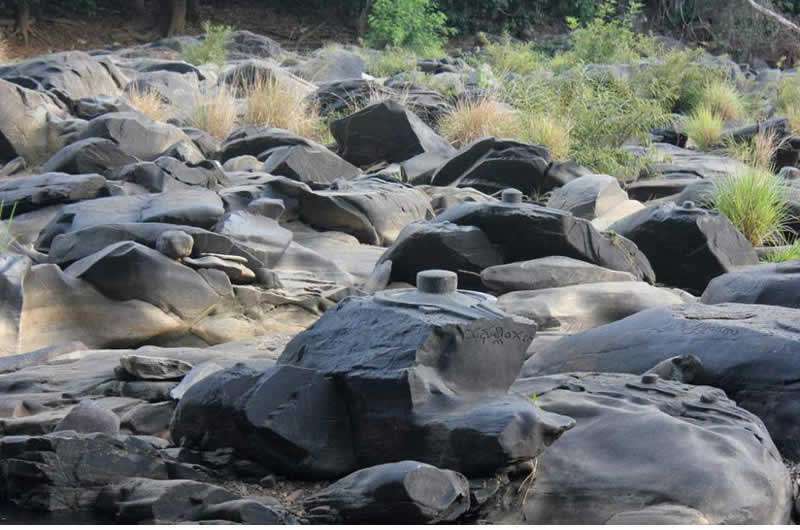 Countless Shiva Lingas carvings have emerged from the Shalmala River due to drought and overconsumption. 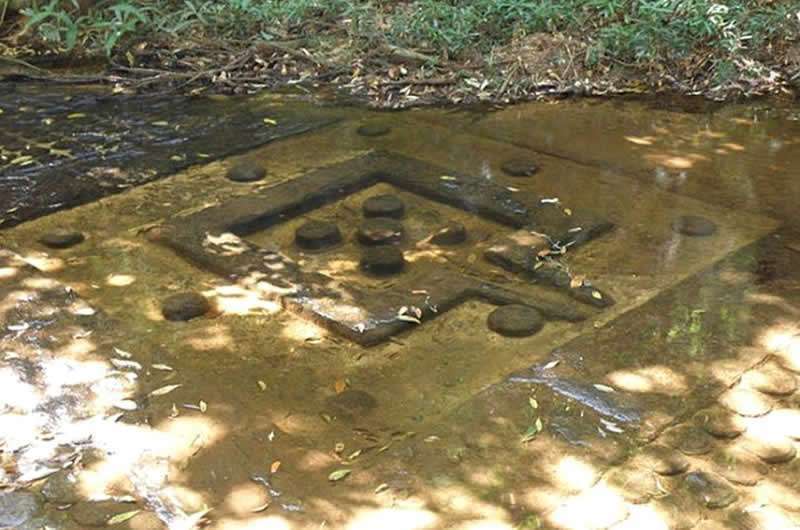 Located in Karnataka, India, a combination of drought and overconsumption of water have revealed dozens of ancient Hindu symbols that remained underwater for centuries. 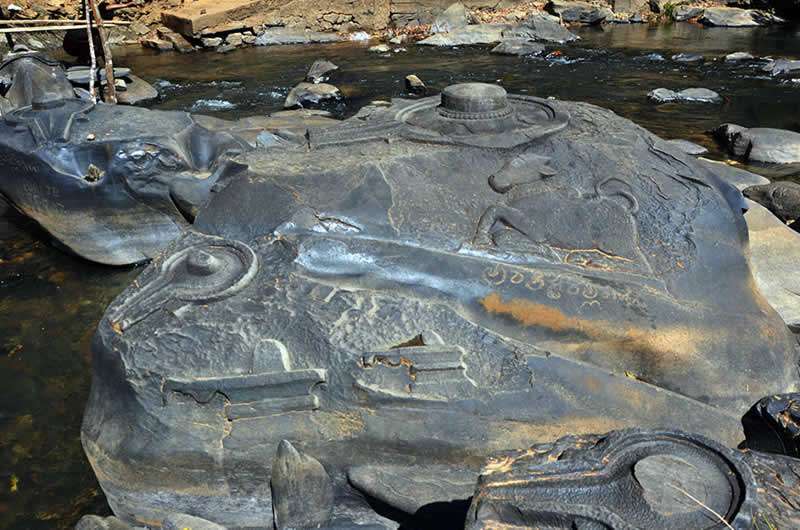 A combination of factors has pushed the river banks to record lows, revealing stunning ancient secrets that have attracted both tourists and scholars. 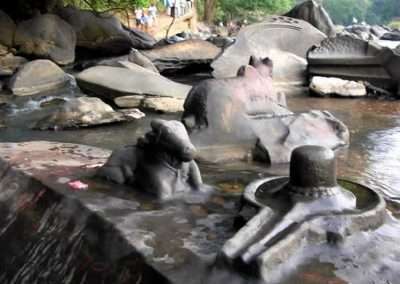 The symbols are known as ‘Shiva Linga’. 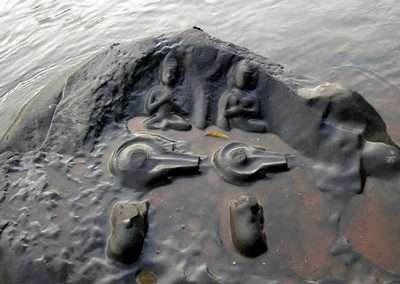 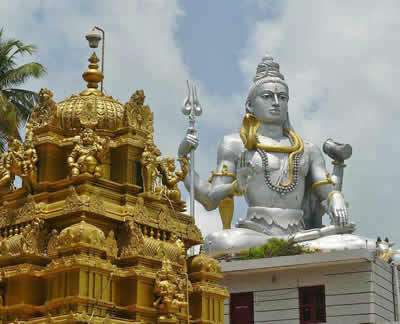 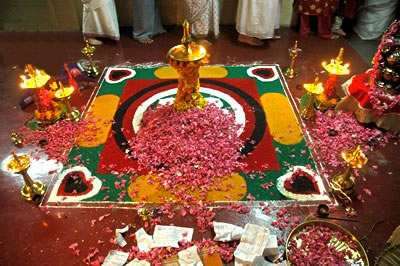 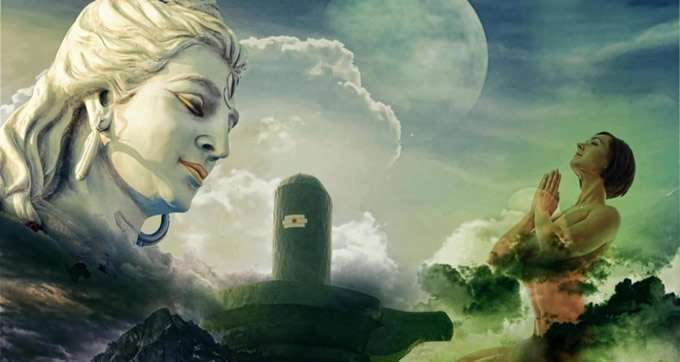 They are extremely ancient symbols used in the worship of Ancient Hindu deity Shiva, the God of Destruction and Transformation, and together with Brahma and Vishnu (Trimurti), one of the principal deities in Hinduism. 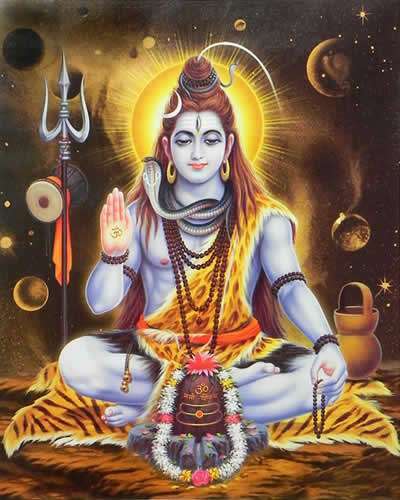 Within Shaivism he is viewed as the Supreme deity, whereas in other branches of Hinduism such as the Smarta tradition he is worshipped as one of the six manifestations of the Divine. 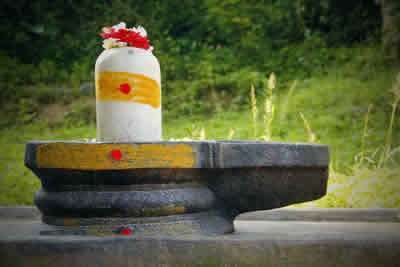 The Shiva Linga, aka Lingar is the main symbol representing Lord Shiva. 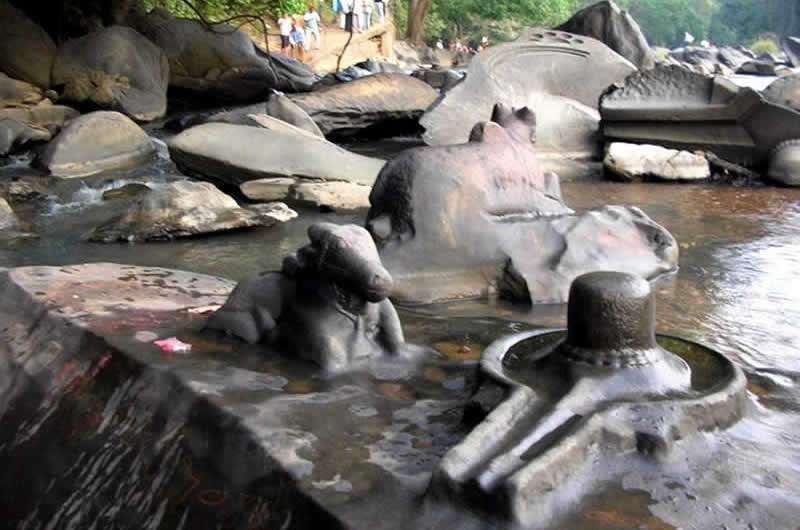 Considered the most important deity of them all, countless temples have been erected in his honor featuring the Shiva Linga symbols. 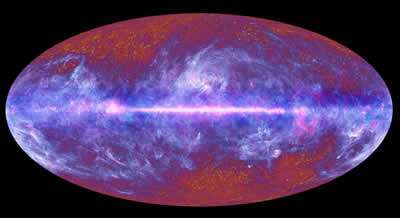 They represent the energies of the world and beyond. 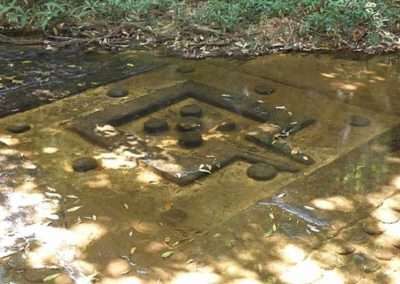 Others see these sacred ancient symbols as something entirely different, as evidence that ancient cultures, thousands of years ago, witnessed the visitations of aliens. 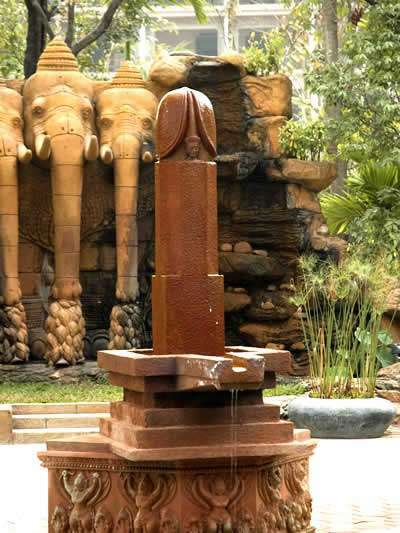 The Shiva Linga symbol represents the phallus, the emblem of the generative power in nature. 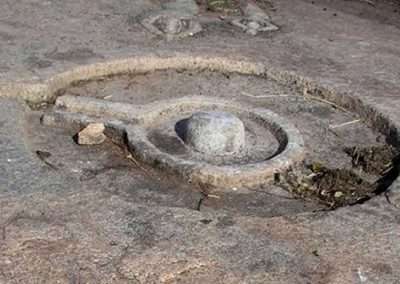 Thus the Shiva Linga is a symbol of Lord Shiva: a mark that reminds of the Omnipotent Lord, which is formless. 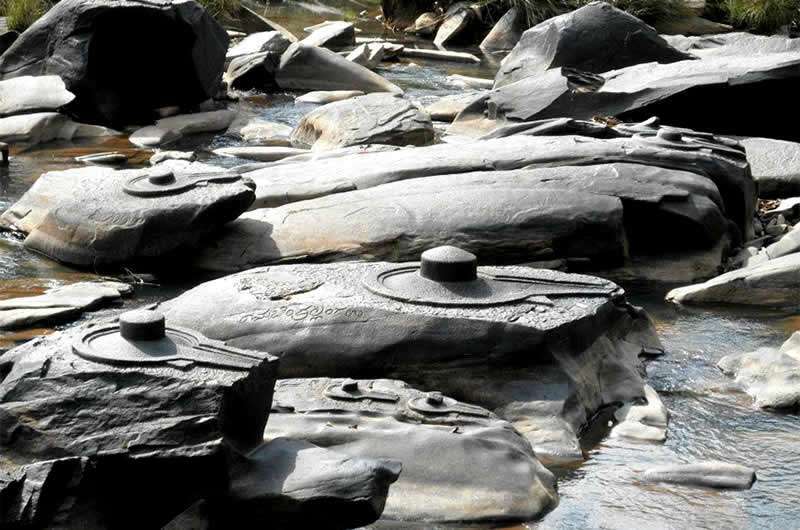 The Linga is like an egg and represents the Brahmanda (the cosmic egg). 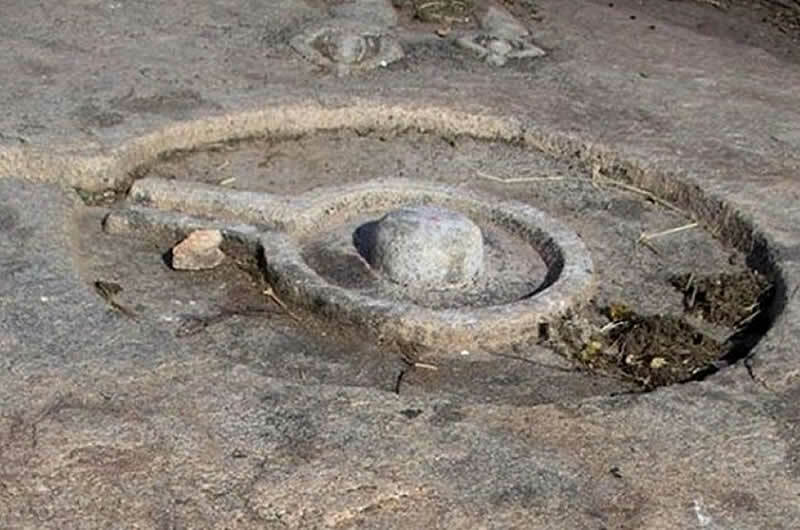 A Shiva Linga is composed of three parts. 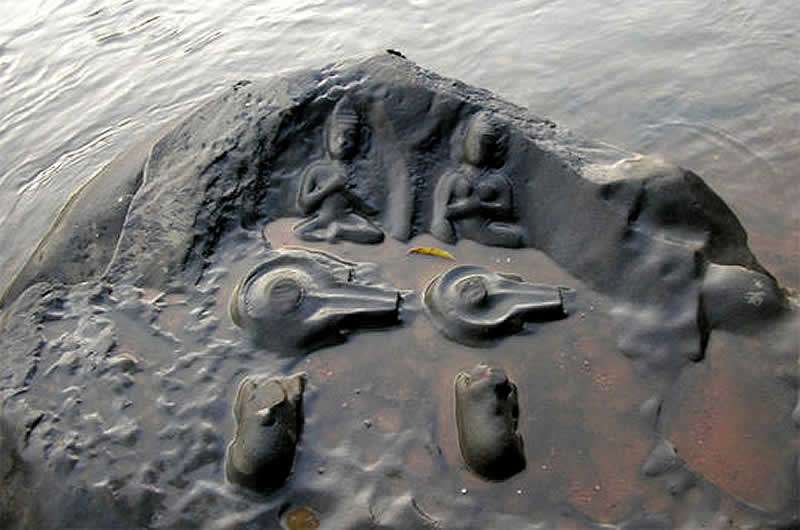 The lowest of these is referred to as the Brahma-Pitha; the one in the middle called the Vishnu-Pitha; and the uppermost one, the Shiva-Pitha. 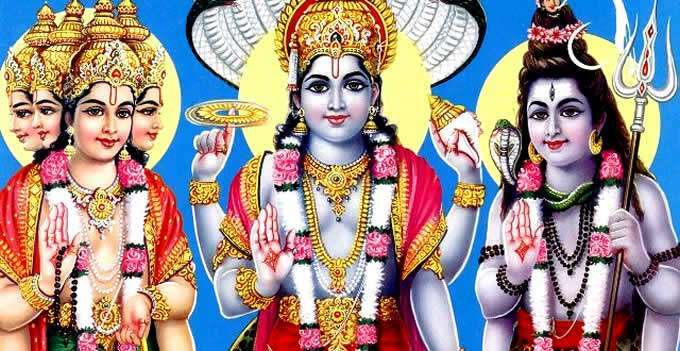 These are associated with the Hindu pantheon of gods: Brahma (the Creator), Vishnu (the Preserver), and Shiva (the Destroyer). 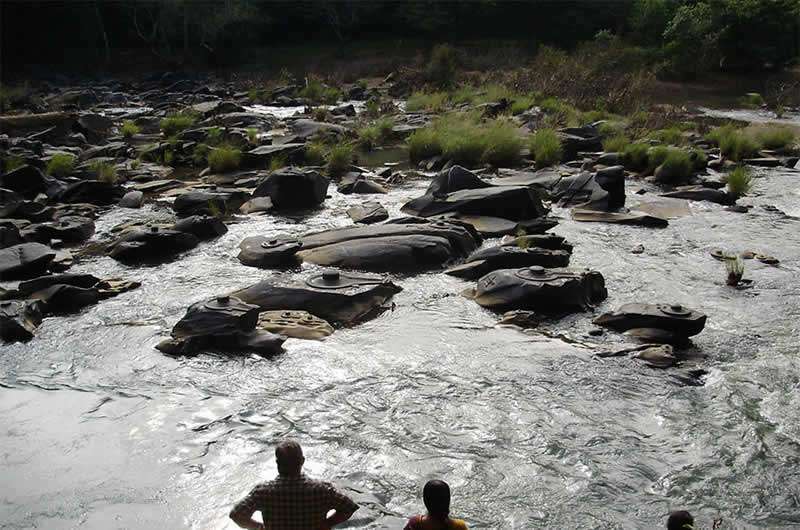 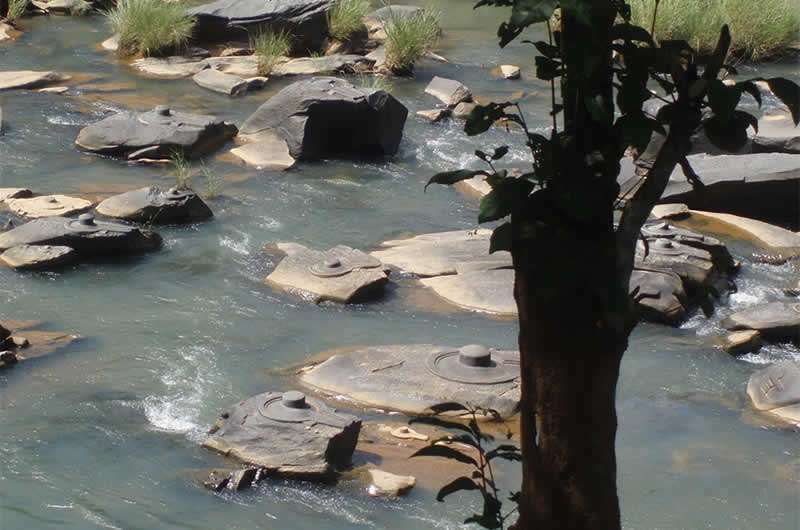 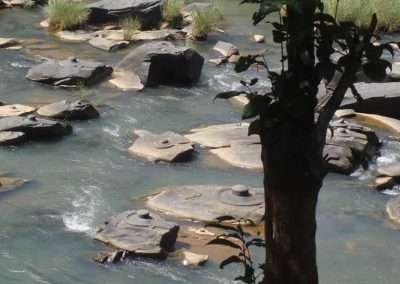 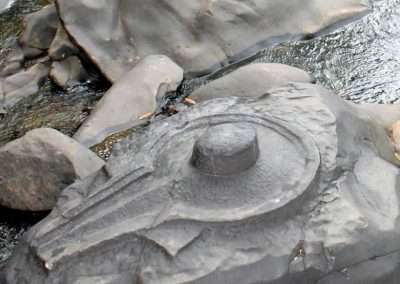 During Shivratri (Hindu sacred feast), thousands of pilgrims visit this place [in Karnataka] and offer pujas (act of adoration), a perfect time when the water level in the river is low and most of the Lingas are visible with their bases called Yonis. 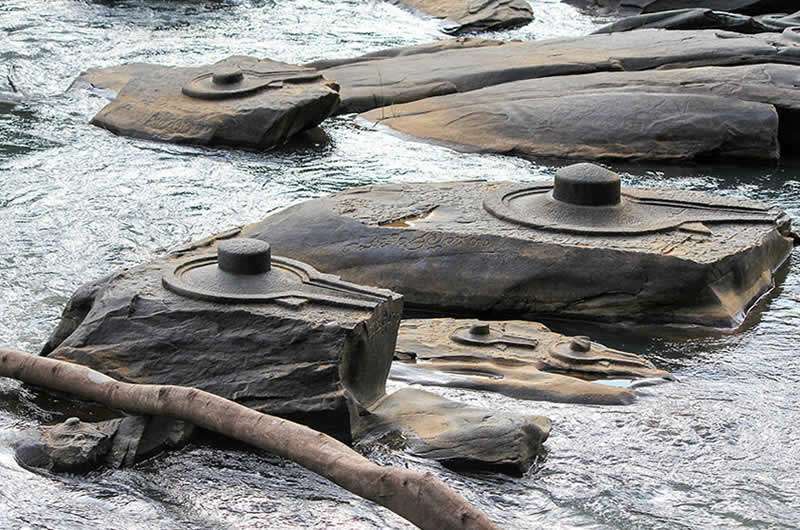 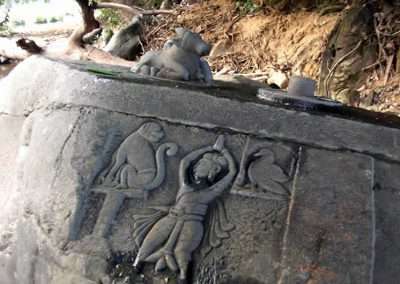 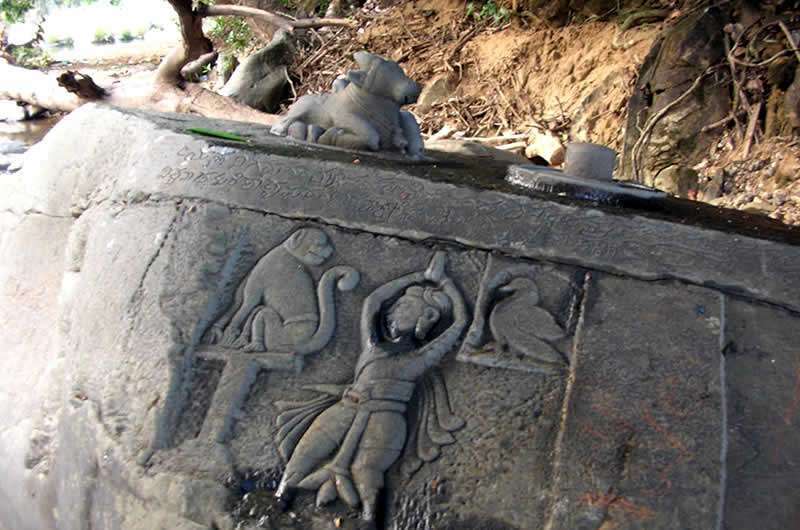 Each Linga also has an individual bull carved facing towards them. 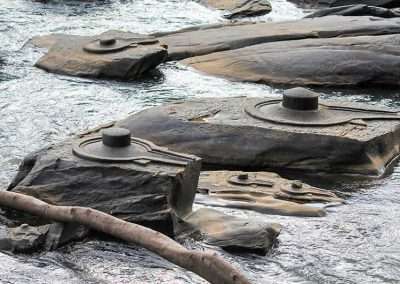 No one really knows when or who carved these Lingas but it is speculated that the King of Sirsi, Sadashivaraya, may have ordered their construction during his reign from 1678 to 1718. 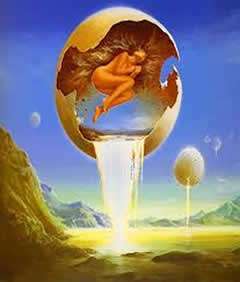 It's hard to know the truth, but sometimes it's very easy recognize a lie.